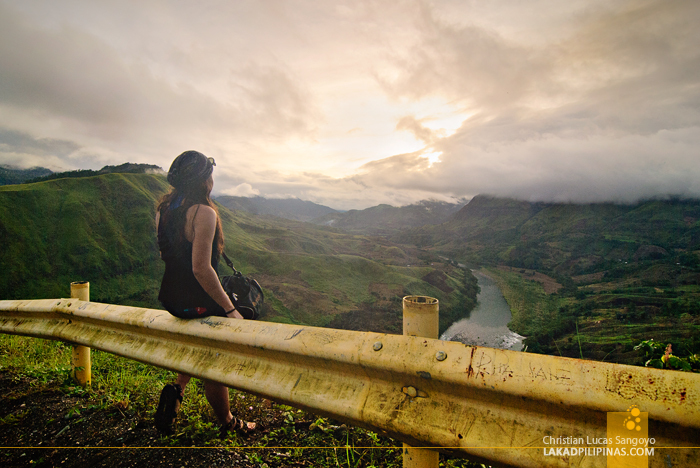 The air was getting increasingly colder as our rented jeepney slowly clambered up to the Landingan Viewpoint at the town of Nagtipunan in Quirino. Like a panting dog, our vehicle put forth a burst of energy before finally stopping and letting us all go down. And we were all rarin’ to go! From inside the jeep, we were all clicking our cameras like crazy as the view past our window went from gorgeous to breathtaking. It was almost the exact same scene earlier in the day as we entered the town of Nagtipunan from Quirino’s capital, Cabarroguis. From timid sleepyheads, we quickly turned to addicted shutter freaks as the view changed from flat boring farmlands to majestic fog-capped hills. 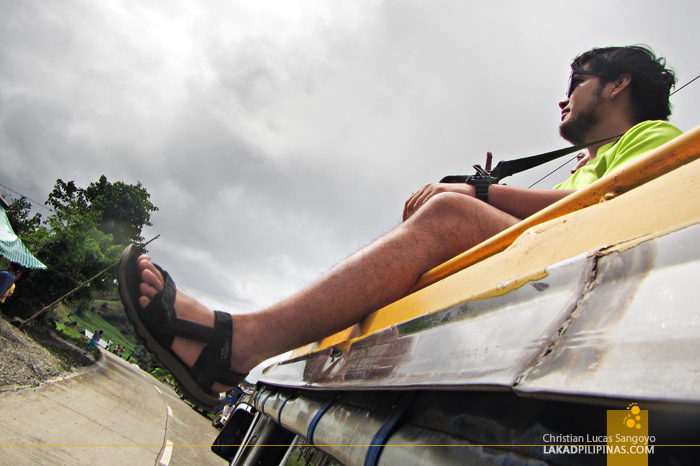 Unable to contain our enthusiasm, someone asked our driver to stop; we’re going up the roof to topload! Well, at least my companions were. It was slightly drizzling and my camera, which recently died and miraculously returned to life, could probably not take even a single drop of rain. The view was indeed too beautiful not to appreciate in full. 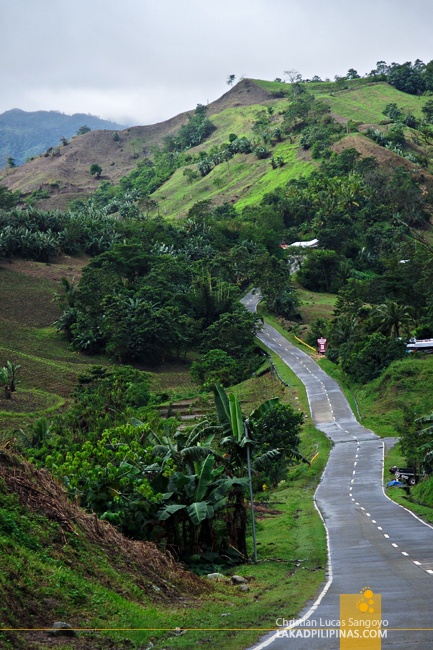 I was a little envious of my companions who were all hollering atop our jeepney as we wend through the ribbon-like road surrounded by lush hills en route to the Bimmapor Rock Formation and the Siitan River. 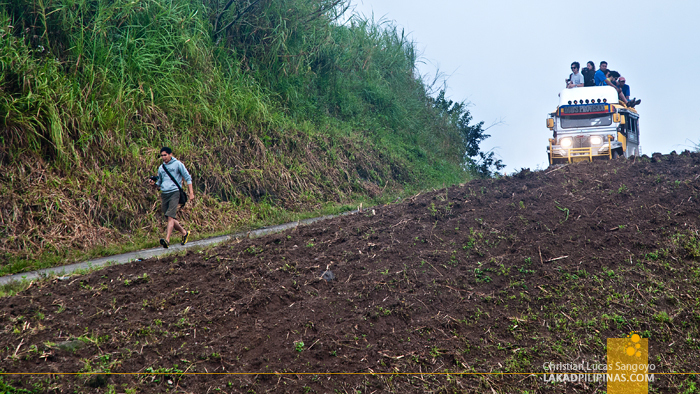 But before heading there, we went on a little side trip, a hill overlooking the vast area of Nagtipunan. 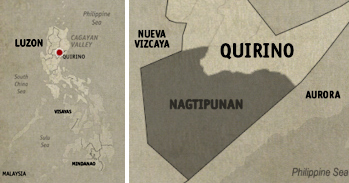 The town is actually one of the six municipalities of Quirino Province, but it has the largest land area of the bunch; like half of Quirino Province is Nagtipunan. 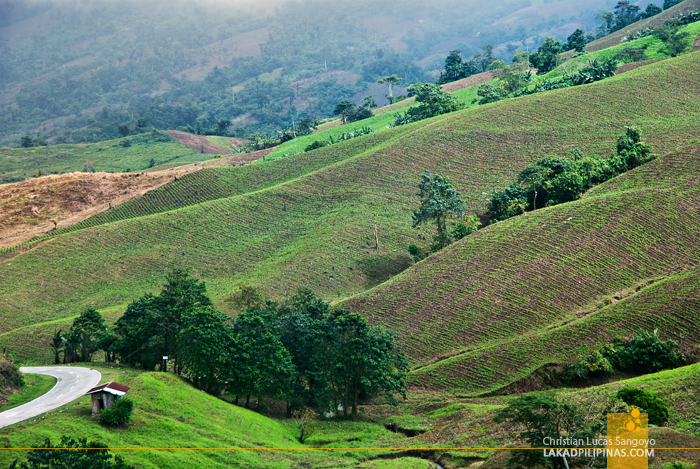 From the Tapao Viewdeck, the panorama opens up to a vast plain surrounded by hills and mountains. One of our guides told us that there are plans to set up a paragliding facility in the area. 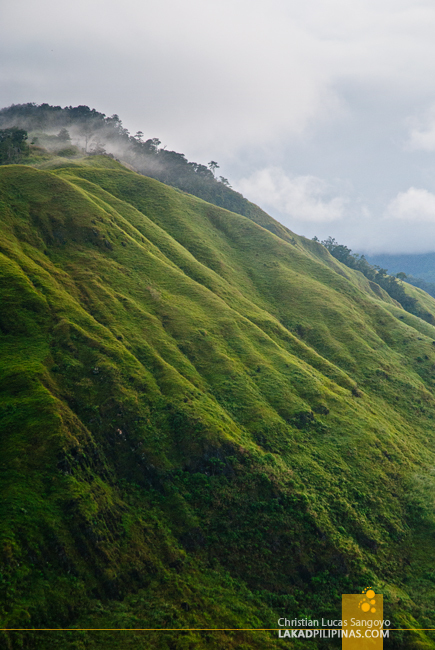 With its elevation, it’s not hard to imagine gliding through the air, sweeping past these lush landscapes. 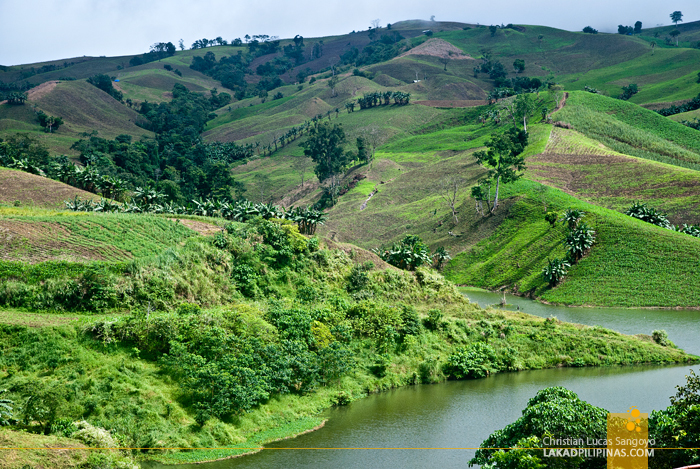 In my mind, I was debating if the view can rival the rolling hills of Batanes, only here in Nagtipunan, the sloping landscape is not covered in grass and reeds, but in corn stalks; the life blood of the town. 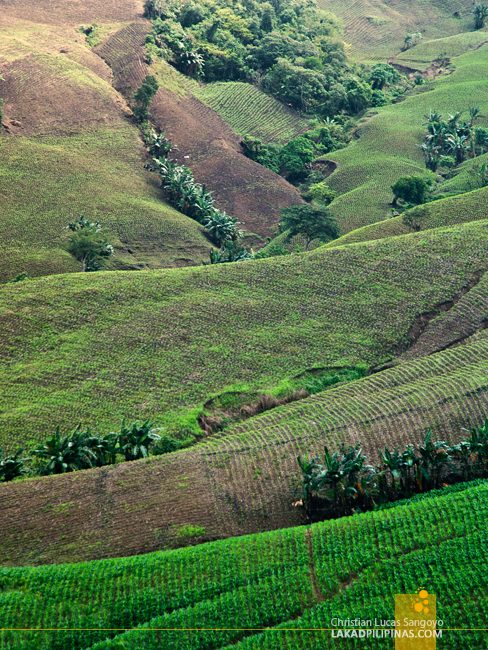 Still, corn notwithstanding, the velvety hills is still majestic to behold. Coming back from an early dinner of Pancit Cabagan at MJ’s, we again traversed the roads of Nagtipunan to see the town from the Landingan Viewpoint. We arrived at the area a few minutes before the sun began its final descent. 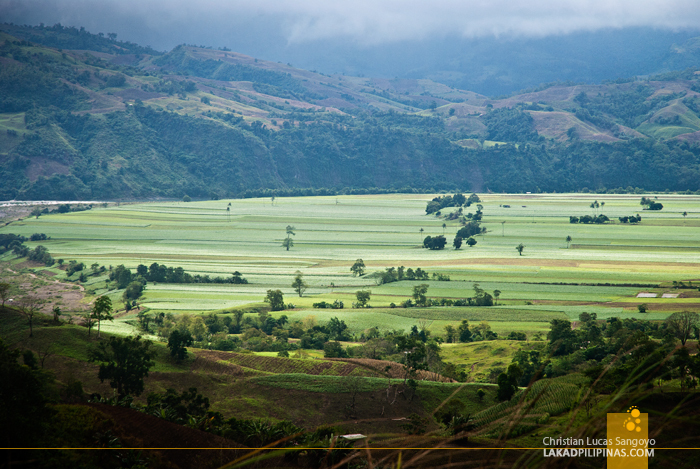 It was quite a sight and everyone agreed that Quirino certainly has an ace up its sleeve when it comes to tourism. And with a full bottle of tapuy, Quirino’s local wine, we celebrated the past four days of traveling around the province; getting wet and getting high, really, really fast. Indeed, discover the undiscovered. 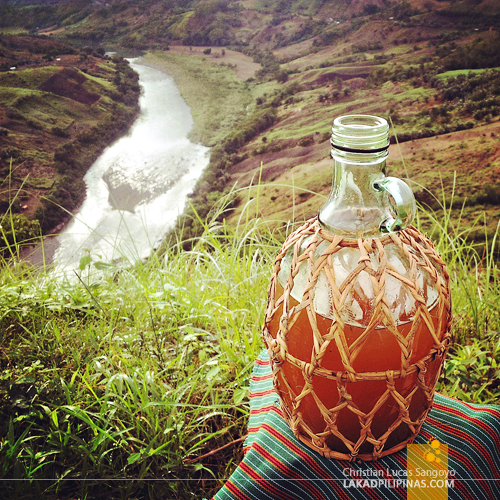 Visit Quirino this year and see for yourselves what this province has to offer. Your jeep looked too heavy topside - konting tagilid lang sa daan, many of the riders could get injured. Is this legally allowed in Pinas? In the provinces, vehicles are all overloaded, motorcyclists don't wear helmet and many vehicles are driven without number plate. Lol like lawless cowboy town.